98% of office workers are affected by contagious diseases acquired from the workplace as a direct result of poor cleaning and sanitation practices, resulting in the loss of millions of dollars per year in healthcare costs and absences. The temptation to cut corners--it happens to all of us. The week has been too long, the resources too limited, and our patience, typically available in abundance, has fallen well short of what is needed to accomplish the task at hand, and skirting a few 'minor' details seems like a good idea. In the cleaning industry, missing a few minor details on occasion is rarely a cause for alarm. However, if the issue becomes protracted and the exception becomes the rule, surface damage is just the start of your challenges. I think part of the problem is that we all get involved in the day to day crush of work and start cutting corners just to get through the day. It is my position that any floor can accept one or two days of poor service and still survive. However, when the exception becomes the rule, it is only a matter of time before the floor (or surface) becomes so soiled that it needs remedial work. All of us have experienced days/nights when we were short-handed and had to cut corners just to get through the shift. That may be acceptable for one day but once it becomes the norm, we lower our standards and expectations so that it fails to meet specifications. Additionally, being short staffed or staffed with inexperienced workers can lead to further issues and challenges, all adding additional cost for lower quality output to the organization. Quality suffers when tasks are missed or poorly executed, supplies are overused, or equipment is damaged. All of these issues create extra costs that are likely passed onto the customer, who ends up paying more for less. Leveraging in-house staff - Commonly referred to as 'other duties as assigned.' Tasking in-house staff typically assigned to non-custodial duties to clean your office is on par, result wise, with not cleaning at all--may be worse. Their general lack of experience with cleaning chemicals, dilution requirements, safety protocols, and equipment handling can lead to expensive damage to your office, and potential hospitalization, or worse. Using consumer cleaning products - Consumer cleaning products are rated and intended for the types of germs and amount of traffic commonly observed in the average home. In no way, shape, or form are they suitable for even small business environments, and their toxic chemical compounds have been shown to contribute to numerous health and cognitive issues that directly and negatively impact a business's bottom line. Infrequent or no formal cleaning program - A disturbing percentage (nearly 50%) of businesses in the U.S. do not offer formal professional cleaning services for their offices. Often, the rallying cry is 'my office looks clean, so it does not need to be cleaned.' This misconception can lead to the buildup of dangerous germs and bacteria on high contact surfaces that result in employee illness, resulting in expensive absenteeism, or even more costly presenteeism. Cutting costs and reducing custodial budget will save you money short-term, but it is a decision that will likely come back to haunt you in short order. Reducing the number of cleaning products. Purchasing green cleaning products, which can be transported and stored in a concentrated form, eliminating waste associated with bulk storage. Retaining the services of an outsourced custodial provider with a low turnover ratio to eliminate costly challenges associated with inexperienced staff and high in-house turnover numbers. Commercial cleaning services are a vital, but often overlooked sector of high-performance schools and businesses. The consistent removal of germs and bacteria that lead to sick, poorly performing students and employees, combined with documented and desirable outcomes associated with cleaning for health first has been repeatedly shown to deliver higher profits and test scores when compared to schools or organizations that focus on cutting corners and cutting costs the wrong way. 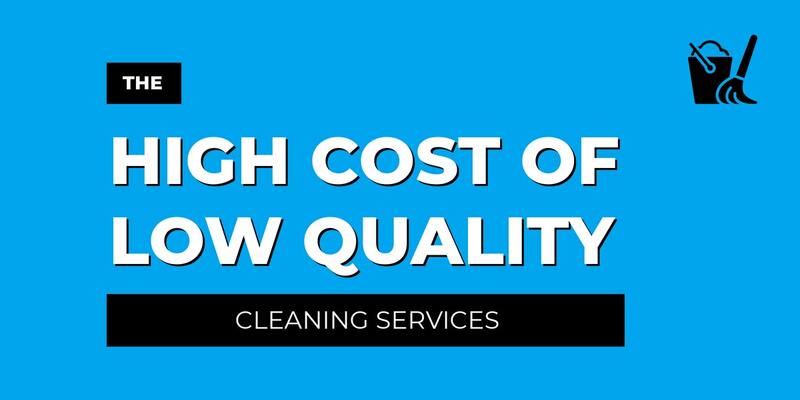 Fortunately, there are several cost-effective methods for which an outsourced cleaning service provider can assist your organization.